Here are the samples so far. A Jewish Star: Gershon Shapiro from COLlive.com on Vimeo. 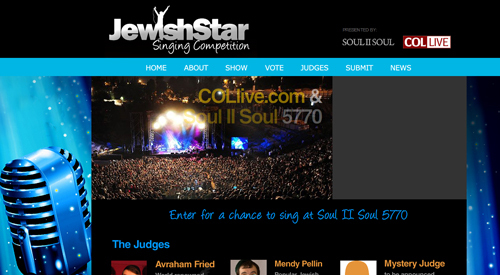 A Jewish Star: Moishe Savoy from COLlive.com on Vimeo. A Jewish Star: Binyomin Schapiro from COLlive.com on Vimeo. A Jewish Star: Moshe Lehr from COLlive.com on Vimeo. A Jewish Star: Itzchak Bondarev-Dobruskin from COLlive.com on Vimeo.